runny nose, and also to treat hemorrhoids. Green pepper is from the same fruit as the black, but is harvested before they mature. Green pepper is milder with a cleaner, fresher flavor. 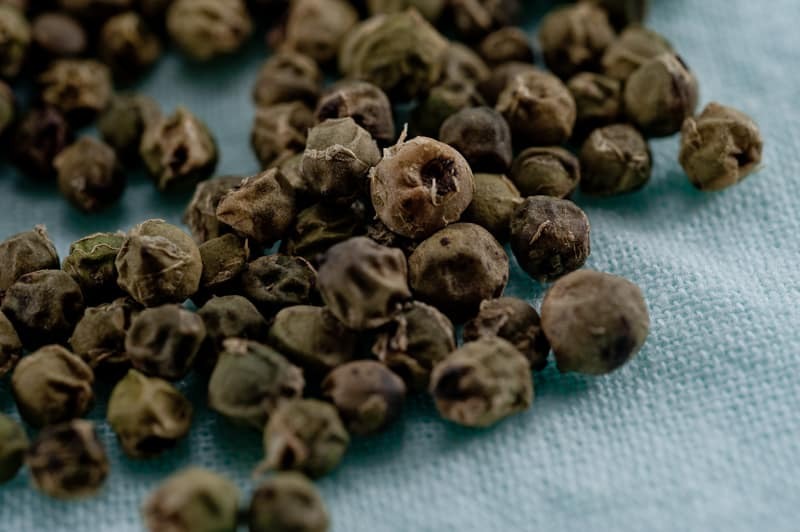 Green peppercorns can be mashed with garlic, cinnamon or to make a spiced butter or with cream to make a fresh and attractive sauce for fish. It is often used in white sauces rather than black pepper, which would give the sauce a speckled appearance. It’s best ground directly on to food. With hot food it is best to add pepper well towards the end of the cooking process, to preserve its aroma. Lampong peppercorns are are treasured around the world for their mild, delicate aroma. Small, brown berries are characterized by a sweet, smoky, and yet “woodsy” fragrance. Lampong goes well with almost any dish. This aromatic corn is a perfect complement to Thai or Singaporean dishes. One sniff will take your imagination to sweet concoctions made of coconut milk and lemon grass. 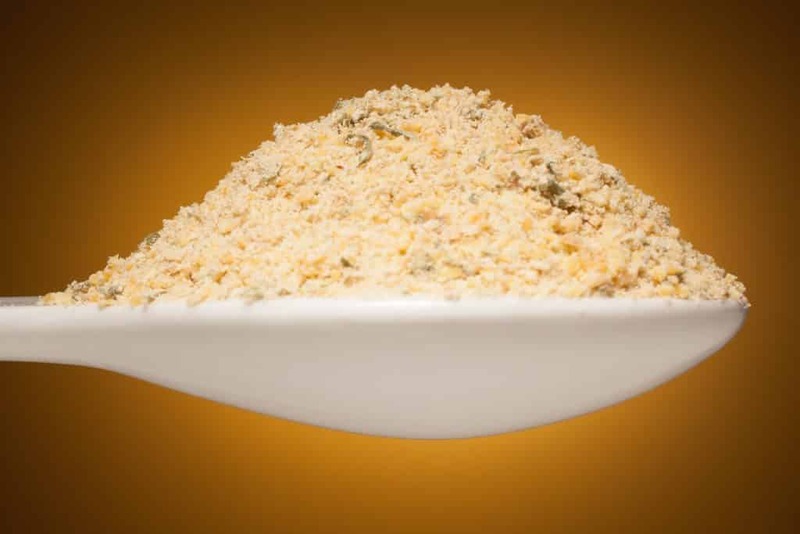 Try it in other recipes where a less bold, but aromatic pepper flavor is preferred. Grown in Indonesia’s mountainous islands, these berries are picked while young to retain a sharp, hot flavor. Indonesian long pepper. It is a close relative of the black pepper plant. 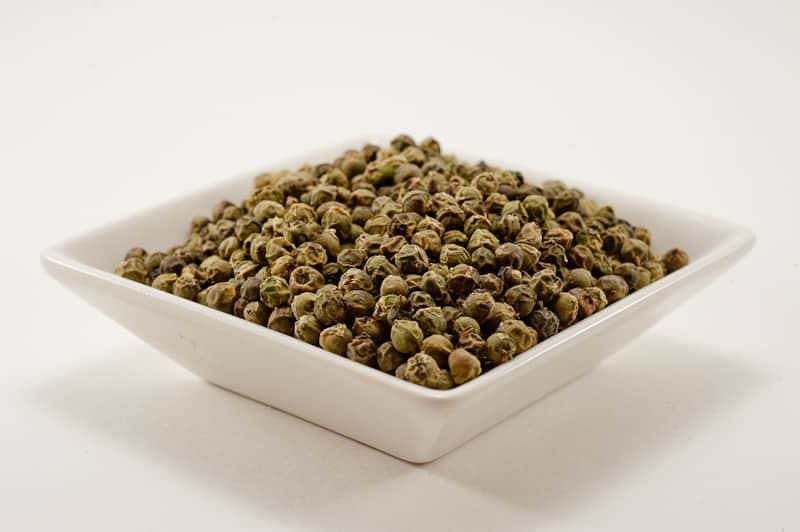 This combination of black, white, green and pink peppercorns is a great balance of flavors for the true peppercorn lover. 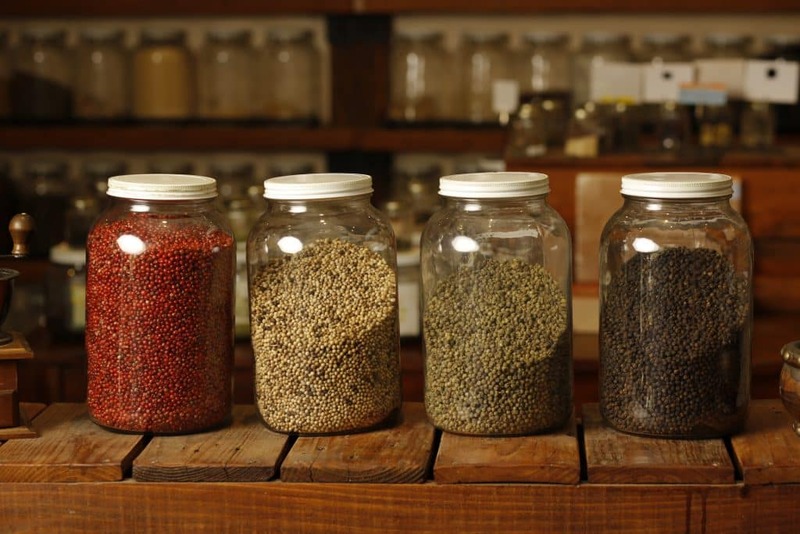 Used preferably whole with a pepper mill, it complements all meat and poultry dishes to enhance any dish. The dried berry from the Chinese prickly ash bush, this spice has a tingly flavor that is unique. Use like pepper for a tasty change of pace. Excellent with duck and chicken, to preserve its aroma. 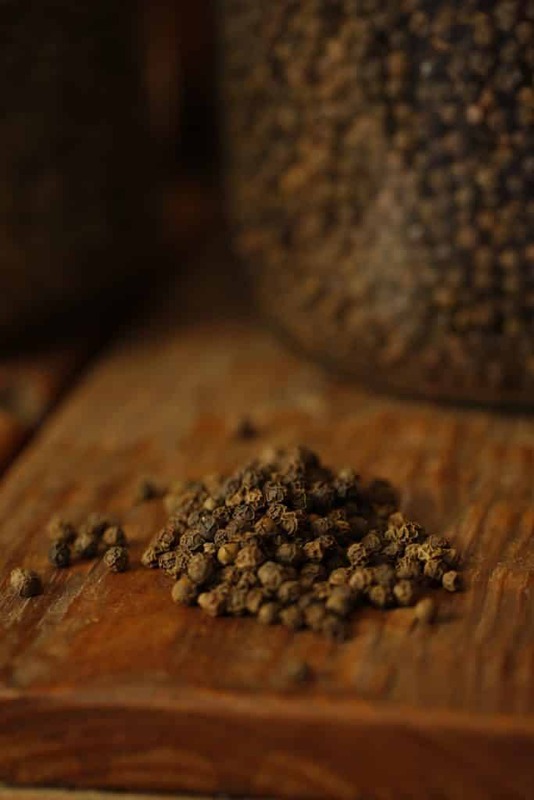 Tellicherry whole black peppercorns are left on the vine longer so they develop a deep, rich flavor. Considered the finest pepper in the world, these extra-large berries come from the Malabar coast of India. The berries for black peppercorns are picked from the vine just before they ripen and turn red. It’s best ground directly on to food. With hot food it is best to add pepper well towards the end of the cooking process, to preserve its aroma.